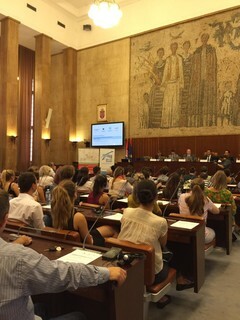 International Conference "Development of Media Literacy and Information in Serbia and Region" was held in Novi Sad, on August 1st under the patronage of CESCI Balkans, Media Education Center and AEBR Balkans, with the support of the Assembly of the Autonomous Province of Vojvodina. The conference covered the topic about Media Literacy and Information Literacy as a ground for the development of Global and Sustainable Education and achievement of Millennium Development Goals, and presented the project “Danube Peace Boat” managed by Media Education Center and also about the organization “United in diversity”. Speakers at this conference were Mr. Damir Zobenica, Vice-President of the Assembly of the Autonomous Province of Vojvodina, Mr. Žolt Sakalaš, Provincial Secretariat for Education, Administration and National Communities, Mr. Miomir Rajčević, Media Education Centre Mr. Walter Olensky, Federal Ministry of Education, Austria, Ms. Elena Kurilova, Russia, Mr. Ervin Eros, Central European Service for Cross-border initiatives Balkans and Ms. Ivana Jelača, Media Diversity Institute Beograd. 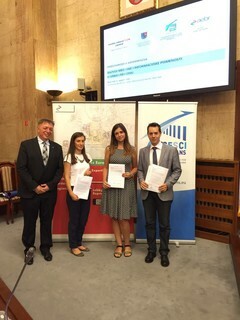 At the end of the conference Memorandum of Understanding was signed by the following organization: Media Education Centre, Central European Service for Cross-border initiatives Balkans, Novi Sad School of Journalism, Media Diversity Institute and In Centre. Gallery: International Conference "Development of Media Literacy and Information in Serbia and Region"